Yes, yes, yes! I would love to see the rest of this bathroom. Love the fanlight window. 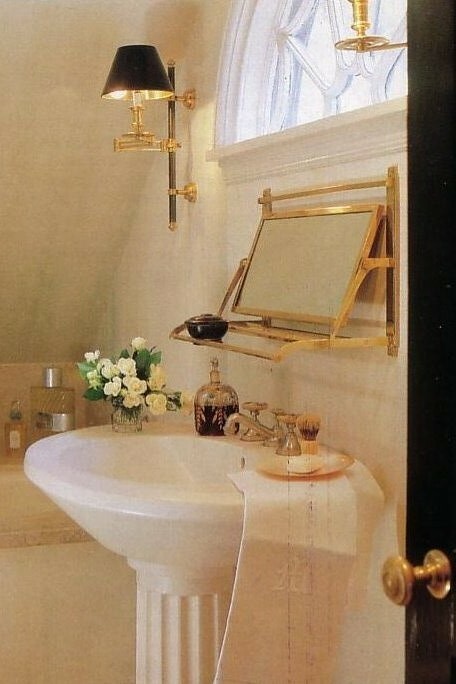 The mirror is unusual and I do like it but it sure wouldn't be very comfortable for my tall guys or any tall guy.